Switch to automatic deliveries to avoid run-outs. Make secure credit card payments through your “My Flynn” account on our website — no stamps to buy and no checks to mail. Reduce fuel costs and improve performance by replacing outdated equipment with high-efficiency models. Take a few minutes to remove snow, ice or any other obstructions to your tank and fill pipe so that our driver can deliver your fuel as safely and efficiently as possible. Inspect your aboveground heating oil tank to identify any problems early. Look for rust and dents, and wet spots beneath the tank. 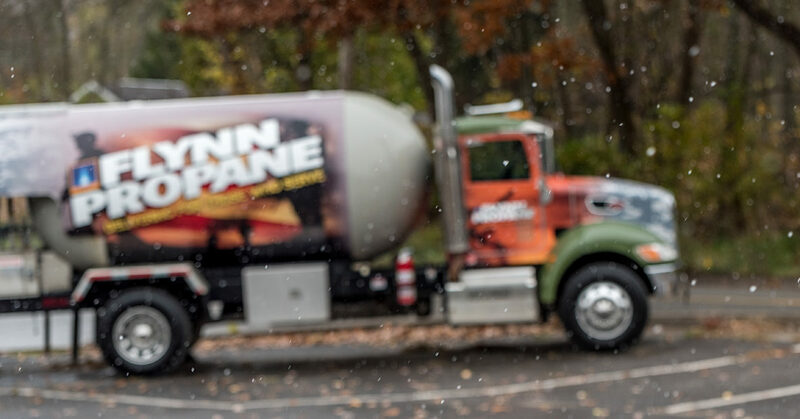 Flynn Energy and Propane is ready to help ease your transition to colder weather. Our staff is standing by to get your set up with automatic or will-call delivery at competitive prices with great customer service. Give us a call at 570-268-3880 or visit us online to get started.